The global eDiscovery market will grow at 9.8% CAGR during the forecast period with the market size reaching USD 20.8 billion by 2024. Different solutions including data processing, legal hold, data production are majorly contributing to the eDiscovery market size. The market has witnessed significant demand for these solutions over the last few years due to the increasing regulatory compliance requirements, rapid exploration of IoT solutions and services providers across different verticals, and digitalization of government functionary utilizing data analytics for efficient governance. Based on solutions, the eDiscovery market is categorized into data processing, legal hold, data production, early case assessment, and technology-assisted review. Among all types of solutions, data processing holds the largest share in the market as the amount of electronically stored data has increased manifold and therefore it becomes a key factor in efficiently managing services especially for litigation industry. Data processing helps legal counsel access important or key information for the favorable legal proceedings. The segment is also predicted to witness the highest growth during the forecast period. Based on component, the eDiscovery market is categorized into software and service. Among the two-category services account for the larger revenue contribution to the market. 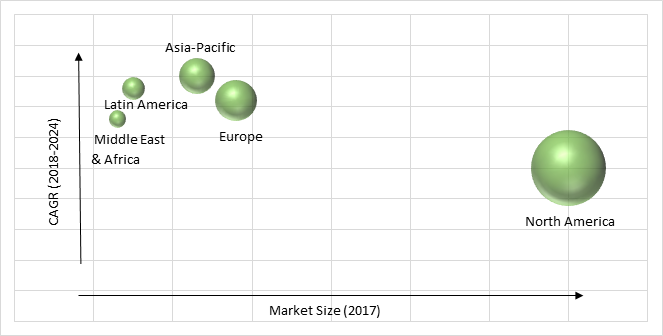 The services market if further segmented into professional and managed services, of which managed services account for the larger share in the market. The segment is also anticipated to witness the higher growth during the forecast period at a CAGR of 9.8% during the forecast period. On the basis of deployment type, the eDiscovery market is segmented into hybrid, cloud-based and on-premise. Of all the deployment types, cloud-based category is the rapidly adopted deployment type in the global market. The category is also anticipated to grow at the highest CAGR owing to the adoption of IoT solution across different industry verticals. Different industry verticals utilizing eDiscovery solutions include BFSI, government, energy & utilities, IT & telecom, legal, media & entertainment, healthcare. Of all the verticals, government sector accounts for the largest share of the eDiscovery market, globally. Government agencies require these solutions to make a right use of collected data from various sources such as social media, email communications, website content, IoT data, instant messages, text messages, government organization databases, workflow applications, and shared documents among others. Several factors driving the eDiscovery market include increase in electronically stored information, increasing penetration of internet and social media, and increasing demand for better governance with data analytics. Discovery of electronically stored information in the digital age has become an effective tool to efficiently analyze discover and manage data in different verticals, thus creating demand for these solutions. With the abundance of data stored in different form in the digital platforms, different industry verticals such as litigation industry, healthcare, BFSI require discovery of certain data to establish certain facts. This is very cumbersome task for these organizations by themselves, however, with the use of eDiscovery solutions, it becomes simple and efficient for them, thus driving the growth of the market. Another key factor driving the growth of the industry is the increasing adoption of IoT solutions across different industries. Key factors hindering the growth of the eDiscovery market are high cost of the services and solutions offered by the key players and concern related to data protection. eDiscovery solutions or services mine the data from different private and public platform for legal, government or other entities. This creates concern of data protection among different organizations, for instance EU have stringent data protection regulations which hampers transfer of cross border data from any EU nation to others. Geographically, North America is the largest eDiscovery market as the region is home to a large number of industry players and also have been in forefront of utilizing these platforms by different organizations such U.S. Federal Government, Litigation Industry and others. Asia-Pacific is observed to witness significant growth in the market during the forecast period. A large number of enterprises in the region are opting eDiscovery solutions and services to efficiently manage the stored data through different platforms. Market players in the eDiscovery industry are investing capital to develop technologically advanced systems for data processing, legal hold, data production, early case assessment, among others. These players are also entering into partnerships, collaboration, acquisitions and also launching new products to cater to the demand of different organizations. Some of the key players operating in the global market are KrolLDiscovery LLC, AccessData Group LLC, Guidance Software, Inc., LexisNexis Group, Dell EMC, FTI Technology LLC, Microsoft Corporation, Symantec Corporation, IBM Corporation, Relativity, and Conduent Inc.
Table 201 Snapshot –Conduent Inc.